I first discovered Georges Simenon in 2005, when a fellow reader sent me a copy of The Cat. 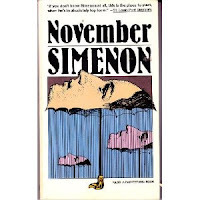 Unexpectedly, The Cat wildly impressed me, so I became borderline obsessed with Simenon, and embarked on a mission to obtain and read every other book he'd written that I could get my hands on. 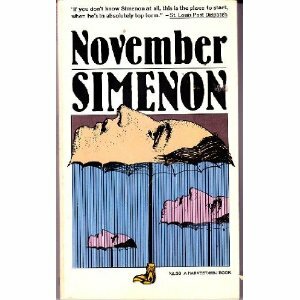 Which leads me to this review for November, which is just one of numerous novels by this prolific writer. November is named accordingly because (duh!) its events take place during the month of November. But don't let this commonplace title sway or deter you from this fun and awesome book. 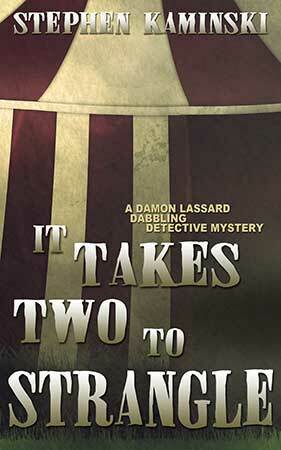 Nursing Home Ninjas is the latest cozy mystery novel by Al Stevens. Although Stevens is largely known for writing computer programming tutorials, he has also written and published a number of fiction novels. 87-year-old Marvin Bradley lives in a nursing home, but still has his wits about him. In fact, Marvin is so perceptive that he's noticed that many of the other nursing-home residents are starting to sport bruises and other noticeable injuries. Since nobody on the nursing-home staff takes Marvin seriously regarding his suspicions that the residents are being abused, Marvin begins to investigate.